Somvati Amavasya is no moon day that falls on a Monday (Somvar) in traditional Hindu calendar. Somvati Amavasya 2019 dates are February 4, June 3 and October 28. The day is of great importance to millions of Hindus and they perform shradh, tarpan and pind daan for the souls that have departed. It is considered a highly auspicious to perform holy dip in sacred rivers like Ganga and Yamuna on the day. Puja, vrat and other rituals on the day are mainly dedicated to Lord Shiva. Popular among them is the Peepal Pujan. Married men and women also perform different pujas and rituals and also undertake Somavara Amavasya Vrat. from sunrise on February 4. The significance of Somvati Amavasya was narrated Yudhisthira by Bhisma in the Mahabharata. It is said that whoever takes a bath in the sacred rivers on the day would be prosperous, free of diseases and would be free from grief and sorrow. The greatness of the day is also mentioned in the Matsya Purana. What to do on Somvati Amavasya? Offering Til (Sesame) seed in holy rivers helps in the dead achieving moksha or liberation. Observing silence (Maun Vrat) on the day gets the merit of donating a thousand cows. Planting peepal tree on the day and taking care of the tree helps in poverty alleviation, cure to health issues and desire fulfillment. There is also a popular belief the soul of ancestors will rest in peace if children and relatives take a holy dip in the sacred rivers and perform the rituals. Married women take the holy dip in sacred ponds and rivers for a happy married life and for the long life of their husbands. They also worship the peepal tree on the day. Somavara Amavasya Vrata (fasting) is observed for a long and happy married life by couples. Many devout Hindus also fast on the day and some people only have a single meal. On the day thousands of people take a dip in Ganga at Haridwar, Triveni and other places. How to perform Shivling and Peepal Tree Puja on the day? Clean the house and perform early morning bath. Offer silent prayers to Ganesha. Then offer water to Shivling. Chant 'om namah shivaya'. Say your prayers. Light lamp using Til oil (sesame). White chandan should be offered to shivling and applied on the forehead. White til should be offered to Shiva. Sprinkle little milk on shivling. Bhog (prasad or naivedya) on the day should be white color kheer or any white color sweet. It should be later shared among family members and neighbors. The mantra वं वृक्षाकाराय नमः शिवाय वं॥ should be chanted 108 times. The above puja can also be performed on a peepal tree outside the house. Circumambulate (go around the peepal tree) 7 times and say your prayers. The white til offered to Shivling should be offered to a river. In the evening, light lamps using cow ghee in a Shiva Temple and chant 'Om Namah Shivaya' 108 times. This will help in solving financial problems. Do circumambulation (working around) tulsi plant 108 times will help in keeping poverty away. Feeding fishes, feeding animals etc will help in having a healthy life. Worshiping Surya Narayan on the day (rising sun) by chanting ॐ पितृभ्या नमः will help in getting the blessings of pitrs (ancestors). There will be happiness in the family. Bathing the cow, feed it and worshiping the cow will help in achieving peace and prosperity. 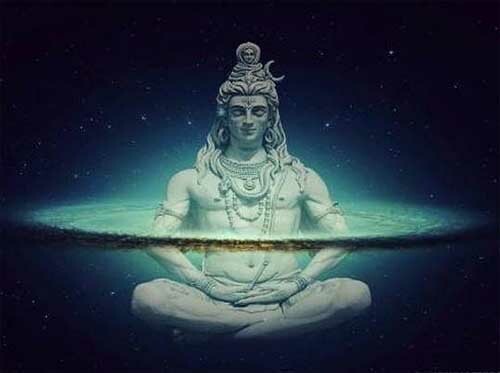 Worshipping Shiva and fasting on the day will help in alleviating troubles in the horoscope (janam kundali) due to the bad positioning of various planets in the horoscope.